It sounds like the “big blue bug of justice” might be returning. According to a People source, Amazon has made a deal to revive The Tick as a TV series. According to the report, Patrick Warburton has signed a deal with Sony and Amazon to reprise his comedy hero role. Ben Edlund, creator of The Tick comic books, will produce and write the new TV show. The Tick was created in 1986 as a mascot for the New England Comics chain of comic stores. He became the subject of his own comic in 1988 and then a FOX animated series that ran for three seasons in the 1990s. 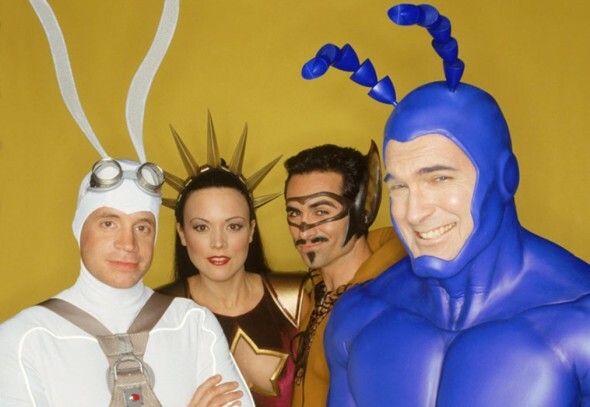 Starring Warburton, David Burke, Nestor Carbonell, and Liz Vassey, the live-action version of The Tick debuted in 2001 but didn’t find a large audience. It was cancelled after nine episodes, in early 2002. The show has grown into a cult classic which is likely why there’s interest in reviving it. Interestingly, the original nine episodes of The Tick are currently available for streaming via Netflix, Hulu, and Crackle — but not Amazon. A timetable for the new series wasn’t mentioned in the report, not was there any talk of other castmembers reprising their roles. What do you think? Do you think this is a good idea? Did you like the original series? Would you like to see other castmembers return?